Rebecca Schrage works in finance by day and makes bagels by night. Hong Kong is home to delicious cuisine of all kinds, but for some reason, the city remains a bagel desert. Yup, you heard that right: Proper bagels are rare here -- a fact that some residents lament. 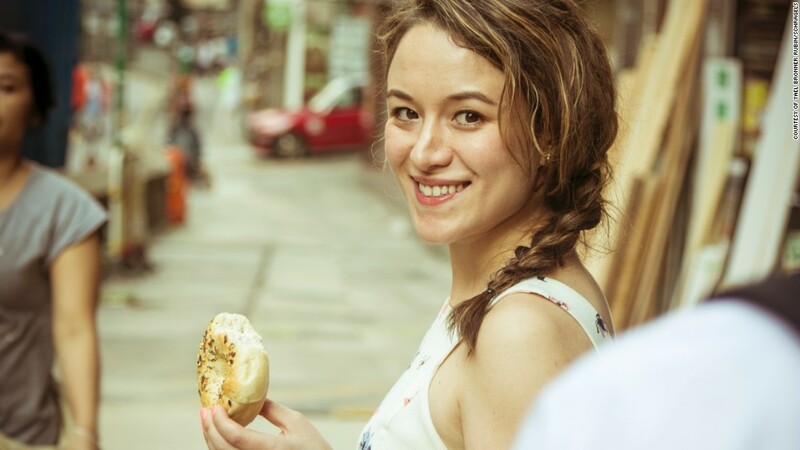 Bagel aficionado Rebecca Schrage, an American living in Hong Kong, is trying to change that. Schrage works in finance by day -- she's the head of client services in Asia for asset manager Neuberger Berman -- and bakes bagels at night. "People know how passionate I am about bagels," Schrage said. "It's gotten to the point where my friend says, 'I'm not coming out with you unless you promise not to talk about bagels!'" On top of her finance job, Schrage, 35, owns a made-to-order bagel service in Hong Kong. A typical day for Schrage can start as early as 4 a.m., when she rolls of bed and walks to a commercial kitchen mere minutes from her apartment. The dough -- which is mixed and rolled into the bagel shape the day before -- is pulled out of the fridge where it sat overnight for "proofing," which is when the ingredients work their magic. The bagels are then boiled, topped (sesame, poppyseed, onion, everything) and baked. "You can't just follow a recipe -- you actually really have to feel it," she said. Then Schrage suits up and heads to the Neuberger Berman office. She says what she's learned working in finance helped get her bagel business, Schragels, off the ground. "In my job over the last few years, I've grown a team and have had to learn how to manage people," she said. "The environment [for the bagel business] is different, but the skill sets are similar when it comes to people and growing a business." When Schrage moved to Hong Kong five years ago, she went through bagel withdrawal -- so she started making them at home. After a couple of experimental batches, a friend asked her to make 35 bagels for her birthday party. Schrage was nervous: "I'd never done 35!" But she baked them, and was surprised with a phone call the next day from a chef who ate them at the party -- he wanted to place an order for his restaurant. "You know, I'm making them at home,'" she recalls telling him. "He said, 'That's OK, I still want to order them.' "
For a while, Schrage filled restaurant, corporate and individual orders straight out of her kitchen -- she even bought an extra oven, multiple fridges, and other equipment. But she wasn't able to scale up to hundreds of bagels a day until she moved to a commercial kitchen and hired two bakers and a manager. She also has some part-time help to make deliveries -- the busiest bagel days are usually near the end of the week and over the weekend. Because all bagels and cream cheese are made-to-order, customers can make special requests -- she recently did pink bagels for a corporate breast cancer awareness event. She's also sold them at pop-up markets around town, and is mulling plans for a storefront. Schrage, raised in a Boston suburb by a Jewish New Yorker dad and Hong Kong Chinese mom, comes from bagel lineage -- her grandparents ran a Jewish deli in New York decades ago. 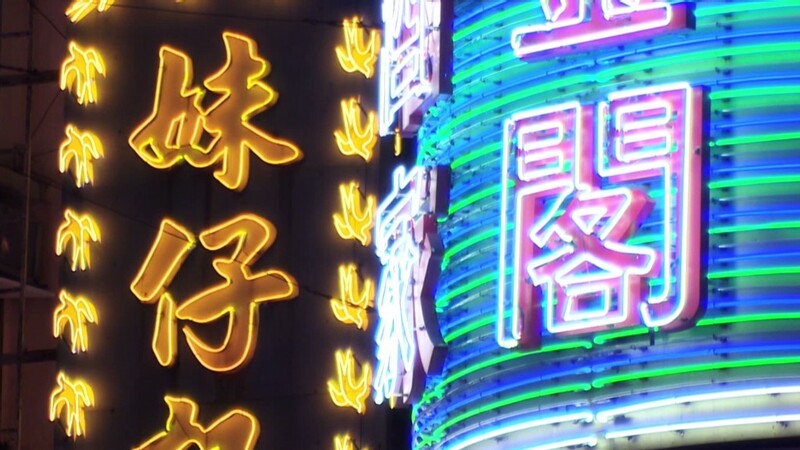 And she's convinced she can appeal to local Chinese tastes, where breads are softer -- think steamed buns -- compared to Western breads like sourdough. To increase awareness, she's been wandering the city with bagels, asking locals to taste them. "My mom, who grew up in Hong Kong, didn't know what a bagel was; then she met my dad in college [in the U.S.], and started hanging out with this crazy Jewish family," she said. "By the time I was born, bagels, cream cheese and lox were a staple in the house." "Let's face it, who doesn't love a good bagel?" she said. "Nothing is really like a bagel -- I could never get sick of eating a bagel, and I eat a lot of bagels, too." 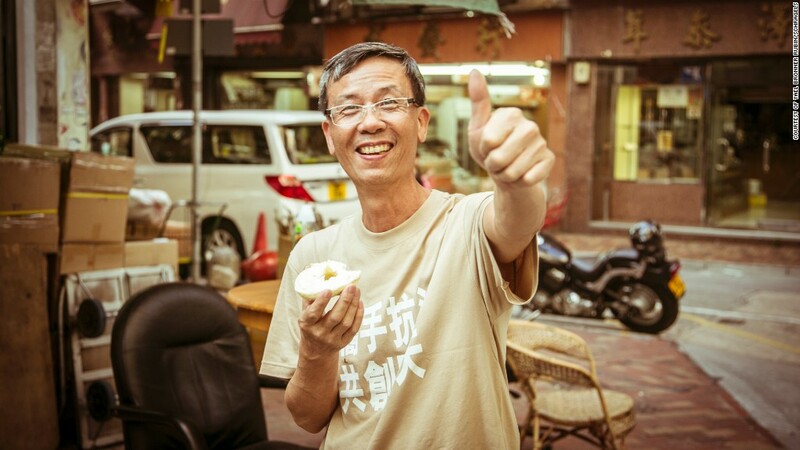 A Hong Kong resident gives Schrage's bagels a thumbs up.